Orders must be received in the Home Office from noon, CDT, May 1 through noon, CDT, June 1, 2016. Note: Products and colors in packages are predetermined and may vary based on inventory availability. 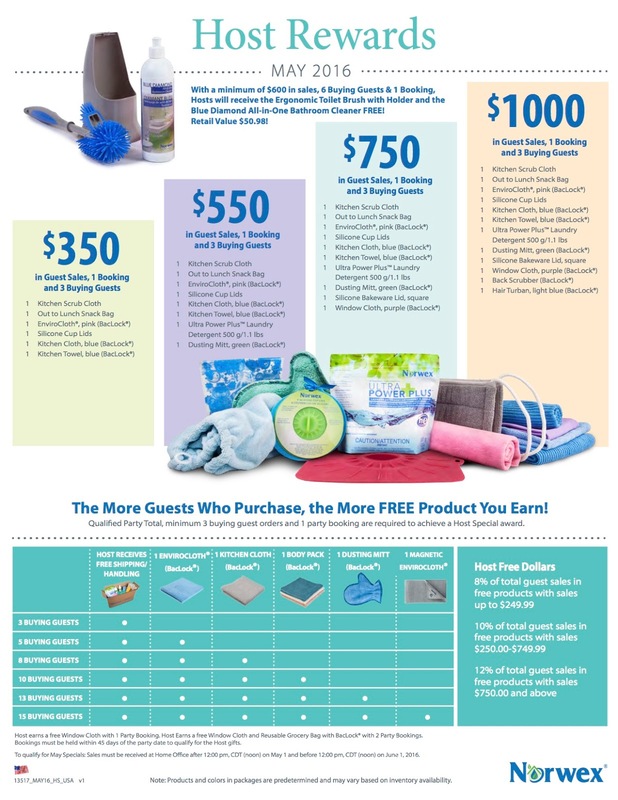 ***With a minimum of $600 in sales, 6 Buying Guests & 1 Booking, Hosts will receive the Ergonomic Toilet Brush with Holder and the Blue Diamond All-in-One Bathroom Cleaner FREE! 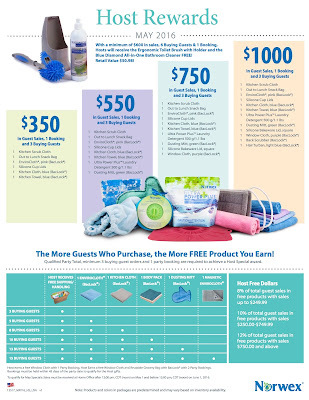 Host earns a free Window Cloth with 1 Party Booking and a Window Cloth and Reusable Grocery Bag with BacLock® with 2 Party Bookings. Bookings must be held within 45 days of the party date to qualify for the Host gifts. 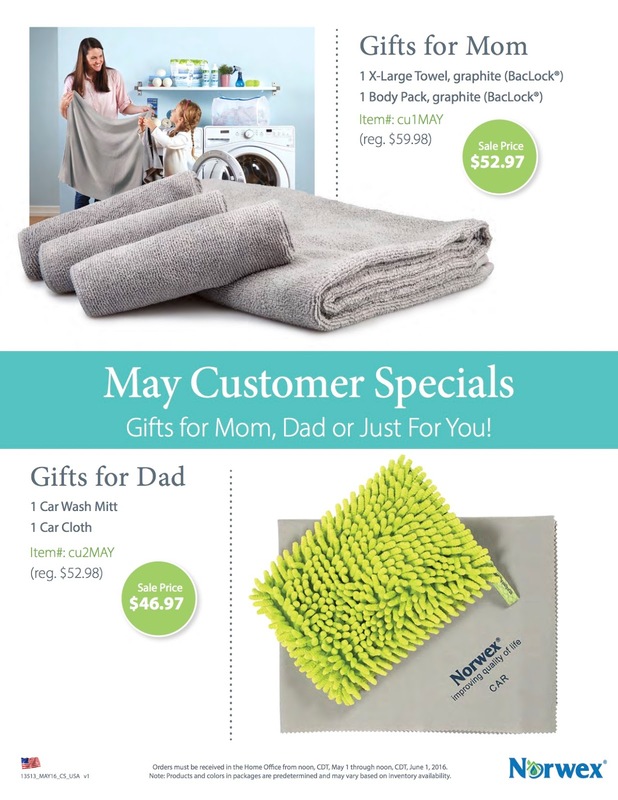 To qualify for May Specials: Sales must be received at Home Office after 12:00 pm, CDT (noon) on May 1 and before 12:00 pm, CDT (noon) on June 1, 2016. Note: Products in packages are pre-determined and may vary based on inventory availability.